Join Melody in Recovery Each Day Melody Beattie integrates her own life experiences and fundamental recovery reflections in this unique daily meditation book, inspiring us to understand our own recovery process. Melody returns to the fundamentals of codependency recovery-letting ourselves feel all our emotions, accepting powerlessness, and owning our own power. Throughout The Language of Letting Go, the author of Codependent No More and Beyond Codependency emphasizes our need to stay focused on recovery principles. Problems are made to be solved, Melody reminds us, and the best thing we can do is take responsibility for our own pain and self-care. 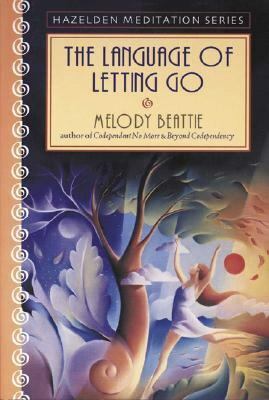 She guides us through the days, encouraging us to remember that each day is an opportunity for growth and renewal.Beattie, Melody is the author of 'Language of Letting Go' with ISBN 9780894866371 and ISBN 0894866370. Loading marketplace prices 575 copies from $1.99 How does the rental process work?